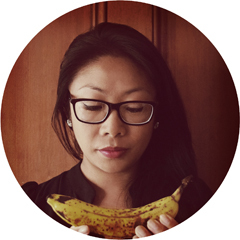 I am Genie, a graphic designer who loves to eat and cook. This blog pushes me to experiment more in the kitchen and reminds me to be more mindful. I love a lot of different foods but Cantonese cuisine will always have a special place in my heart. The Cantonese eat well and often. Born in Hong Kong, I have lived in New Zealand for almost all of my life. I am always willing to give a new food a try. I adore traveling being a foreigner even if only for a brief moment is always useful to the creative. I adore the mantra “Eat Well. Travel Often”. My dream job is to work as a creative within the food industry and I think design and food make an amazing combo. I have developed a passion for food styling through this blog and available for food styling and photography projects. I am interested in design and illustration projects, especially those involving food. Contact me via genie at bunnyeatsdesign dot com or using the form below. Unless otherwise credited, all photos have been taken on my Nikon D5300 with either the standard 18-55mm or a 35mm f1.8 prime. I love prefer natural lighting and like to make my food look good. The food I cook and photograph is 100% edible, usually eaten the moment I put my camera down. My ultimate go-to comfort food is this. I am always in the mood for wonton noodle soup. Home made using quality ingredients is the best. The wontons should be firm and plump with pork and prawns, the noodles should be springy with a tiny bit of chewiness and the broth should be savoury and nourishing. I also love rice. I have a bachelors degree in Art and Design from AUT University which I completed on a full scholarship. After working in print design for 10+ years, I now run my own graphic design company with food styling and photography in the mix. Seriously. I’m living the dream.